Calling all F1 and motorsports fans! The 2017 Formula 1 Petronas Malaysia Grand Prix returns for its penultimate edition in Sepang before Malaysia takes a break from hosting after 2018. The 19th edition of the race in Malaysia will be held from September 29 to October 1, 2017. Coming right after the Singapore Grand Prix happening two weeks prior, the race offers a unique double F1 treat in Southeast Asia. The Shell Malaysia Motorcycle Grand Prix 2017 returns on October 27 to 29, 2017, again as the penultimate race in the MotoGP calendar, 4 weeks after the Malaysia F1 Grand Prix. 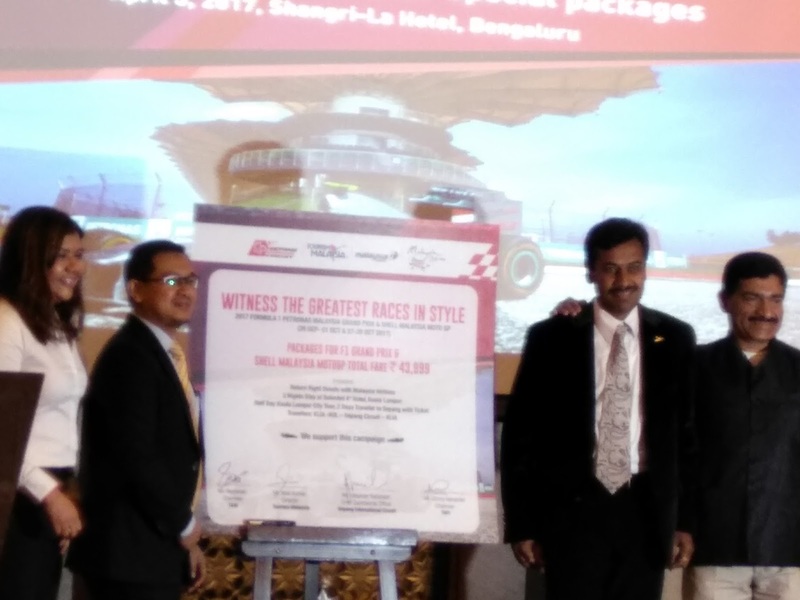 To encourage more fans to seize the opportunity to watch the race live, Sepang International Circuit (SIC) and Malaysia Airlines are offering special attractive airfares starting at Rs 43,999 and F1 Malaysia Grand Prix tickets at unprecedented prices from now until the race from September 29 to October 1, 2017. “In recent years, we have seen fans opting to skip the live race experience in Sepang, with high ticket prices among the reasons for doing so. This year, in an unprecedented strategy, SIC is offering flat rates for the Main Grandstands and significantly lower ticket prices at other areas. In the past years, maintaining strong spectator numbers has sometimes been a challenge, so we hope this new pricing structure will enable all fans to watch the race live from the circuit,” said Dato’ Razlan Razali, Chief Executive Officer of SIC. Tourism Malaysia and SIC have announced special travel packages for the race season in collaboration with selected agents at Bengaluru and SriLanka with the support of Travel Agents Associations so that fans get the best out of their trip in Malaysia. “We welcome our Indian tourists to be part of the excitement by catching a host of events leading up to the race. The family-oriented activities surrounding the F1 Malaysia Grand Prix make the race weekend a great time for a family outing. Fans of all ages can enjoy more than just a race with one-ticket access. There are promotions aplenty, as well as access to all pre-event and post-event activities, attractive merchandise at discounted prices and much more”, said Noor Azman Samsudin, Director (South India and Sri Lanka). Standard ticket prices for the 2017 Formula 1 PETRONAS Malaysia Grand Prix range from RM58.68 for a Hillstand K2 ticket to RM613.68 for a Main Grandstand ticket making this the most affordable F1 race in the world! This year, it will be free seating on a first come first served basis at the Main Grandstand, F Grandstand and K1 Grandstand areas. With no numbered seating, spectators will be able to move about within the respective grandstand areas during race weekend. Tickets for children aged 12 and below are available at 50% off the corresponding adult ticket prices, while children below 7 years old may enter for free, but they will not be allocated a seat without a ticket. Meanwhile, all fans with disabilities can purchase special tickets for Main Grandstand seating at RM308.43. New Mercedes, Ferrari and Red Bull Racing Team Tribune packages with numbered seating are also available at RM1,335.18. All Tribune ticket holders will also receive special team merchandise. 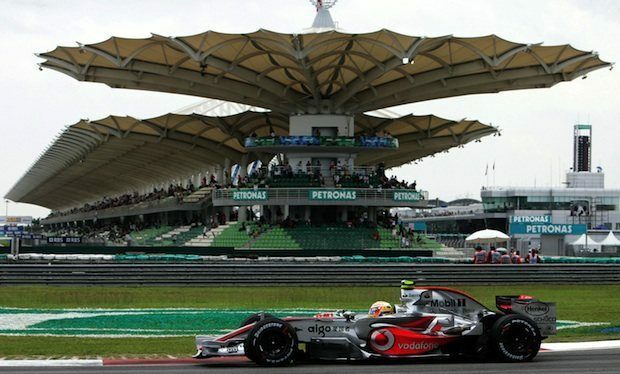 With its distinctive 15 turns and 8 straights coupled with Malaysia’s notoriously humid weather and torrential storms, the track in Sepang has challenged many of the world’s best F1 drivers. The circuit’s design also offers great views from the spectator seats, which will be further enhanced for Main Grandstand ticket holders, as they are now allowed to move about within the Main Grandstand zone. This year, similar to 2016, the race is scheduled closer to the end of the season as the 15th race in a 20-race calendar, right after the Singapore Grand Prix. International fans with a penchant for tropical holidays can also take the opportunity to enjoy Malaysia’s year-long equatorial climate by combining their race weekend experience with a tropical getaway in beautiful Malaysia.